Sun highlighting an oak leaf, still hanging on in late February. This photo was taken Sunday, a calm, sunny, warm day. Monday the winds howled in, bringing cooler temperatures – and maybe stripping off some of these late oak leaves. I shall have to go back out and see. 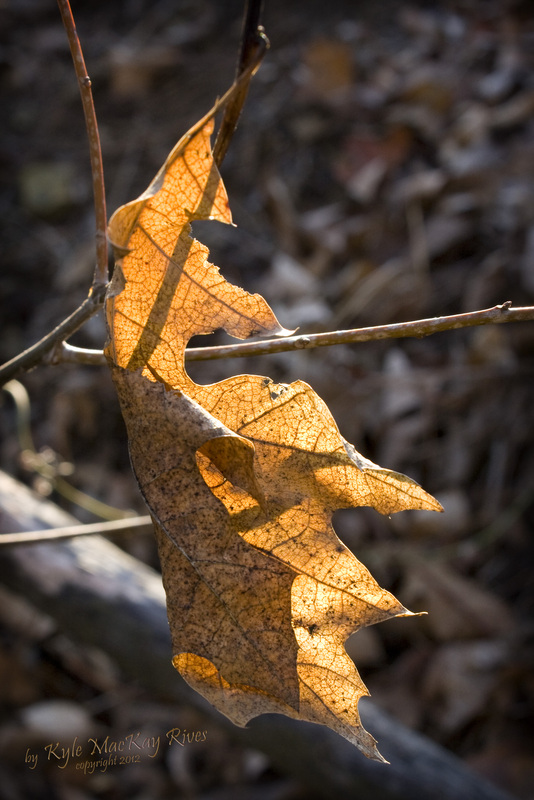 This entry was posted in photography and tagged 2012, leaf, nature, Oak, outdoors, photo, Photograph, Photography, winter.